There are no reliable sources stating the didgeridoo's exact age. 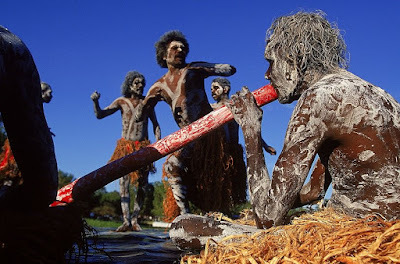 Archaeological studies of rock art in Northern Australia suggest that the people of the Kakadu region of the Northern Territory have been using the didgeridoo for less than 1,000 years, based on the dating of paintings on cave walls and shelters from this period. A clear rock painting in Ginga Wardelirrhmeng, on the northern edge of the Arnhem Land plateau, from the freshwater period (that had begun 1500 years ago) shows a didgeridoo player and two songmen participating in an Ubarr Ceremony. 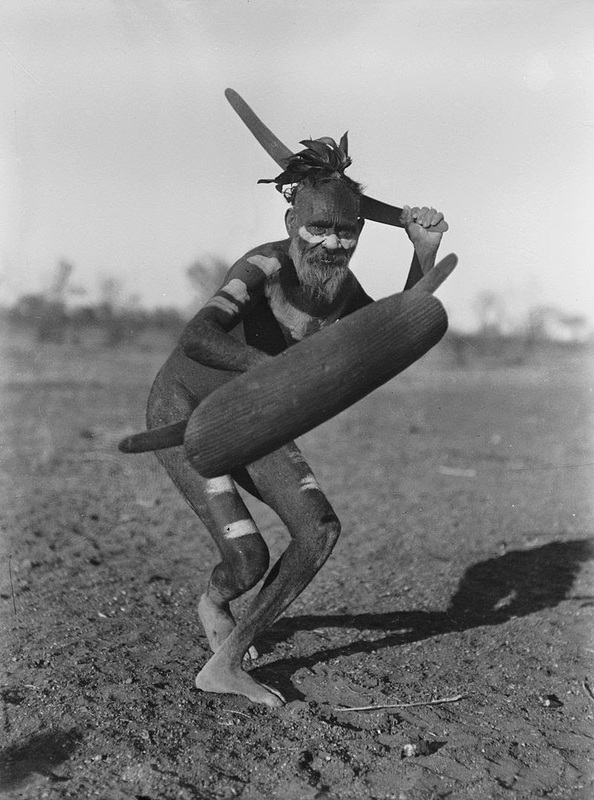 The didgeridoo is played with continuously vibrating lips to produce the drone while using a special breathing technique called circular breathing.This requires breathing in through the nose whilst simultaneously expelling stored air out of the mouth using the tongue and cheeks. By use of this technique, a skilled player can replenish the air in their lungs, and with practice can sustain a note for as long as desired. Recordings exist of modern didgeridoo players playing continuously for more than 40 minutes; Mark Atkins on Didgeridoo Concerto (1994) plays for over 50 minutes continuously. 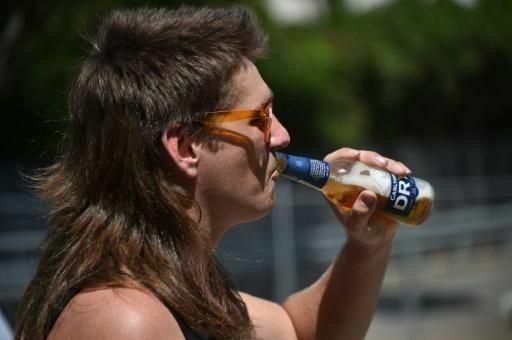 “Business at the front, party at the back” was the mantra for the crowd of Australians sporting a mullet haircut at an inaugural festival. More than 150 people showcasing the hairstyle popular in the 1970s and 80s flocked to a small town north of Sydney called Kurri Kurri, swishing their locks and parading their chops to cheering fans. Gang of Youths was formed in Sydney, Australia in 2012. Their debut album, The Positions, peaked at No. 5 on the ARIA Albums Chart in May 2015 and was nominated for multiple ARIA Awards. 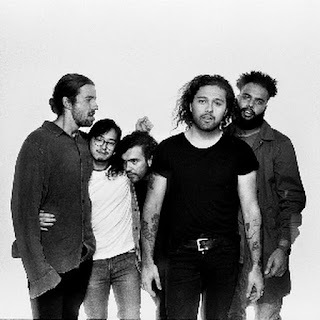 Gang of Youths second album Go Farther In Lightness debuted at No. 1 on the ARIA Albums Chart in August 2017 and was nominated for 8 awards at the ARIA Music Awards of 2017, winning four: Album Of The Year, Best Group, Best Rock Album and Producer of the Year (Gang of Youths & Adrian Breakspear). Three tracks from Go Farther in Lightness were voted into the Triple J Hottest 100, 2017. Their song, "The Heart Is a Muscle'", was used by Fox Sports (Australia) to promote the 2018 NRL season. Canberra was established in 1913 as the capital for the newly federated Australian nation. Canberra was designed by American architects Walter Burley and Marion Mahony Griffin, and built on the shores of an artificial lake, which was named Lake Burley Griffin. Major National facilities in Canberra, have made it a pretty cool destination for travellers. Big warship guns at the Australian War Memorial go left before you go inside, its a short walk and there are also huge tanks to see. Captain James Cook was born, 1728-1779, in Marton, Cleveland about 30 miles from the town of Whitby. An adventurer and navigator in the Royal Navy, Cook is best known as an explorer and most notably for reaching the south-eastern coast of the Australian continent on 19 April 1770 where his expedition became the first recorded Europeans to have encountered the Australian Eastern coastline. Cook's early life and childhood was spent in the villages of Marton and later Great Ayton, as one of the five surviving children of a Scottish farm labourer, also named James Cook, and his Yorkshire born wife Grace Pace. The school at which the young Cook attended in Great Ayton is now a small museum. In 1741 Cook began to work for his father as a farm labourer but in 1745 at the age of 16 Cook moved to the coastal village of Staithes to work as an assistant in a grocery shop. This move gave Cook his first glimpse and experience of the sea which would prove to be so central to his future successes. The post did not last and his employer, aware of Cook's enthusiasm for life on the ocean and his determination to go to sea, took him to Whitby where he was introduced to the Walker family (Captain John & Captain Henry Walker - who independently owned ships); Quaker ship owners engaged in the coal trade between the North-East and London. Captain John Walker's ships traded between London and the North and it was on this route that Cook began his sailing career on board the Freelove carrying coal to London in 1747. He stayed with Captain John Walker, having positions on various ships and voyages from October 1746 to June 1755 (approximately 9 years later) when he was offered command of his own ship. By this point, however, Cook had decided to leave the relative safety of Whitby and at the beginning of The Seven Years War with France he volunteered with the Royal Navy on board HMS Eagle. After 2 years he joined HMS Pembroke where he first witnessed the ravaging effects of scurvy whilst crossing the Atlantic Ocean. In 1762, having risen to the rank of Master, Cook married Elizabeth Batts of Shadwell, 13 years his junior. He went on to be present at the captures of Louisburg and of Quebec, and, after the Seven Years War was over, he charted the coasts of Newfoundland. He was shuttling across the Atlantic every year, and that is when he insisted on best navy practice with regard to diet and the prevention of scurvy. Cooks' skills, dedication and intellectual reputation eventually brought him to the notice of the Royal Society which led to his appointment to lead HM Bark Endeavour in her epic voyage to the Pacific. Her mission was to carry Admiralty and members of the Royal Society to observe the transit of Venus from Tahiti and to explore the possibility of the existence of a Great Southern Continent. As a Whitby-built collier, solid and flat-bottomed and thus easy to beach and repair, the Endeavour was familiar to Cook and he took command, as lieutenant, on what was to carve the way for a two further monumental voyages. Each voyage not only furthered Cook's impressive career but were also pivotal in furthering scientific understanding and exploration. The first voyage (during which Cook circumnavigated and charted New Zealand) with HMS Endeavour and second and third on board HMS Resolution HMS Resolution saw Cook become the first man to circumnavigate the globe in both directions, from east to west then west to east respectively, and the publication of his personal journals gained him higher reputation still within the scientific community. His first voyage established the charting of the east coast of Australia and the entire coast of New Zealand, and the second, dispelling the notion of a Great Southern Continent, sailed south to Antarctica, achieving the first Antarctic Circle crossing in 1773. The third of Cook's voyages, this time on-board HMS Resolution, in search of the North West Passage through the Bering Straits, ultimately ended in Cook's demise during a fight with the local inhabitants on the island of Hawaii in 1779. Peta with Senator Bridget McKenzie discuss Rural health policy and strategy. Peta Rutherford grew up in Wodonga, enjoying the best rural and regional life had to offer. She worked for Medicare for 10 years, and from there given an opportunity with Queensland Health which would move her from city living in Brisbane to experience remote living in Charleville and rural living in Kingaroy. Peta was a member of the team back in 2005/06 that worked on the Queensland Rural Generalist Pathway. This was in addition to a number of other medical workforce projects, including the medical recruitment campaigns for Qld Health, registrar training expansion that she undertook in four years working in QH Corporate Office. A new adventure saw her move with her family out to Charleville to take on a hospital management role in the South West Health Service District. This was a significant change from project and strategic planning work in corporate office to front line health service management of Charleville, Cunnamulla hospitals, Augathella, and Quilpie MPHS’, Morven and Thargomindah outpatients and Waroona Residential Aged Care facility. She learnt more about river systems and stock route maintenance than she ever thought she would need to, but with the 2009 Charleville floods, and the evacuation of the hospital and the aged care facility, it certainly came in handy. After three years in Charleville, Peta moved her family to Kingaroy the peanut Capital to commence as the Cluster Operations Manager responsible for the facilities in the South Burnett region of Darling Downs Hospital and Health Service. During her four years there, she was a recommencement of surgical services at Kingaroy, initial planning for a new facility at Kingaroy, commenced a patient transport system to support South Burnett people accessing services at Toowoomba Hospital, and an expansion of the Kingaroy renal service. 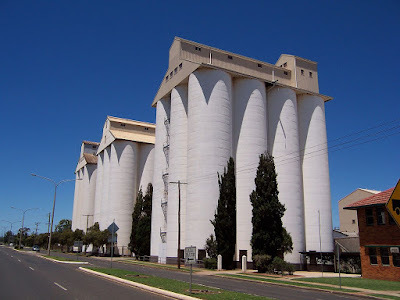 The peanut silos in Haly Street are Kingaroys tallest structures and most visible landmark. Now as the Chief Executive Officer of Rural Doctors Association of Australia, she will apply her knowledge from over 20 years experience in the health sector, and her understanding having lived in these communities to advocate at a national level for improved access to services and for more care to be delivered locally where it is safe to do so. Still getting used to the cold, but has survived her first Canberra Winter. 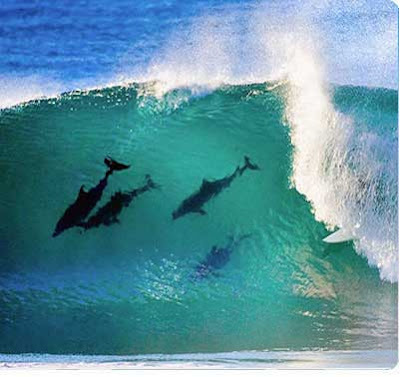 Byron Bay has several beaches which are popular for both swimmers and surfers. It is a resort popular town with both domestic and international tourists, The area is also noted for its wildlife, with the whale watching industry a significant contributor to the local economy. An ocean walkway runs from the centre of town to the Cape Byron lighthouse. This allows visitors to walk and cycle to the lighthouse. Temperate and tropical waters merge at Byron Bay, making it a hugely popular area for scuba diving and snorkelling. Most diving is done at Julian Rocks which is part of the recently established Cape Byron Marine Park and only a few minutes boat ride from Main Beach. Byron Bay lies close to subtropical rainforests, and areas such as the Nightcap National Park with the Minyon Falls are all within easy reach of the town. 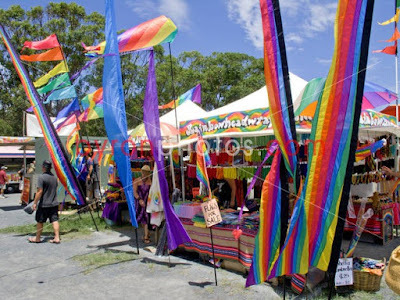 Events held at Byron Bay include yoga retreats, pagan gatherings, music festivals such as the East Coast Blues & Roots Music Festival at Easter and Splendour in the Grass, the Byron Bay Writers Festival, the Byron Bay Film Festival, Byron Bay Surf Festival, Byron Spirit Festival and the Byron Underwater Festival. 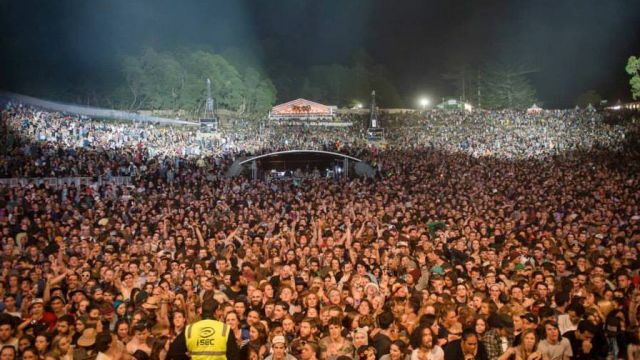 Considered to be Australia's biggest winter music festival, Splendour has evolved from a boutique one day festival held at Belongil Fields on the outskirts of Byron to a three day extravaganza of big name bands a new Australian music now held on a dedicated site 30 minutes north of Byron. Splendour is usually held on the last weekend of July or the first weekend in August. A bus station in Jobson Street is serviced by Greyhound Australia, NSW Train Link and Premier Motor Services coach services from Sydney and Brisbane. Much work has been done to the Pacific Highway making for a more enjoyable drive. Whenever driving long distances, driver fatigue should be avoided by sharing the driving and taking rest breaks every 2 hours. With breaks, Byron Bay is about a 9 hour drive from Sydney and about 2 hour drive from Brisbane. 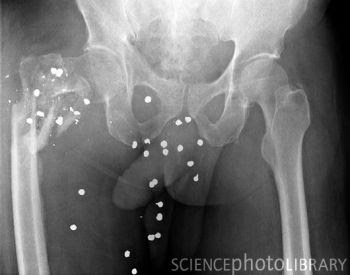 Hunting accidents According to the International Hunter Education Association, approximately 1,000 people in the US are accidentally shot by hunters every year, and just under a hundred of those accidents are fatalities. 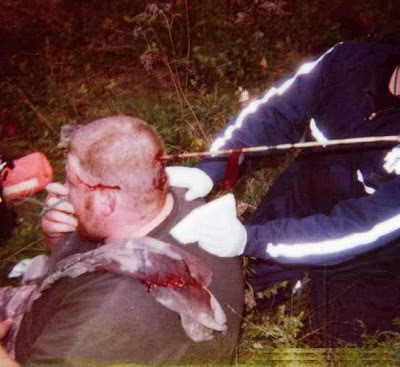 Most victims are hunters, but non-hunters are also sometimes killed or injured. Fluorescent orange clothing has become standard equipment for hunters. It is even called "hunter orange." Because it looks so bright to humans (but not most game animals) and looks like nothing in nature, it prevents other hunters from mistaking a person for an animal, or shooting in your direction. Hunters who wear hunter orange are seven times less likely to be shot than those who don't wear it. There are many types of hunting, but only one real type of hunter. 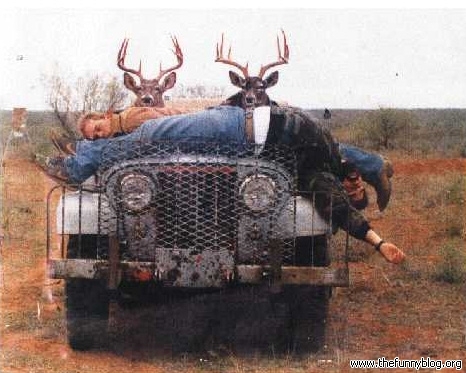 The true hunter is respectful of others and of their property. He has great respect for his prey, and will never, ever shoot when he doesn't reasonably expect to kill cleanly. Use equipment adequate for the game being hunted and be proficient with that equipment. 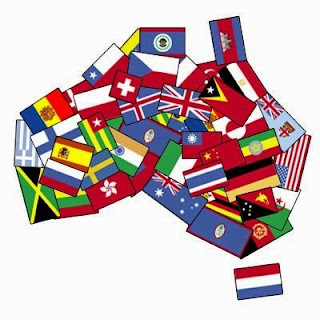 Australia is essentially a Western culture influenced by the unique geography of the Australian continent, the diverse input of Aboriginal and Torres Strait Islander peoples, the British colonisation of Australia that began in 1788, and the various waves of multi-ethnic migration that followed. The predominance of the English language, the existence of a democratic system of government drawing upon the British traditions of Westminster Government, Parliamentarianism and constitutional monarchy, American constitutionalist and federalist traditions, Christianity as the dominant religion, and the popularity of sports originating in (or influenced by) the British Isles, are all evidence of a significant Anglo-Celtic heritage. Australian culture has diverged significantly since British settlement in 1788. In 2014, 24.6% of Australians were born elsewhere and 43.1% of people had at least one overseas-born parent; the five largest immigrant groups were those from the United Kingdom, New Zealand, China, India, and Vietnam. Australia encompasses a wide variety of biogeographic regions being the world's smallest continent but the sixth-largest country in the world. The population of Australia is concentrated along the eastern and southeastern coasts. The geography of the country is extremely diverse, ranging from the snow-capped mountains of the Australian Alps and Tasmania to large deserts, tropical and temperate forests. The Australian mainland has a total coastline length of 35,876 km (22,292 mi) with an additional 23,859 km (14,825 mi) of island coastlines.There are 758 estuaries around the country with most located in the tropical and sub-tropical zones. Australia claims an extensive Exclusive Economic Zone of 8,148,250 square kilometres (3,146,057 sq. mi). This exclusive economic zone does not include the Australian Antarctic Territory. Australia has the largest area of ocean jurisdiction of any country on earth. It has no land borders. 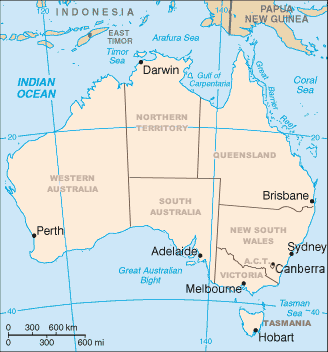 The northernmost points of the country are the Cape York Peninsula of Queensland and the Top End of the Northern Territory. The western half of Australia consists of the Western Plateau, which rises to mountain heights near the west coast and falls to lower elevations near the continental centre. The Western Plateau region is generally flat, though broken by various mountain ranges such as the Hamersley Range, the MacDonnell Ranges, and the Musgrave Range. Surface water is generally lacking in the Western Plateau, although there are several larger rivers in the west and north, such as the Murchison, Ashburton, and Victoria river. 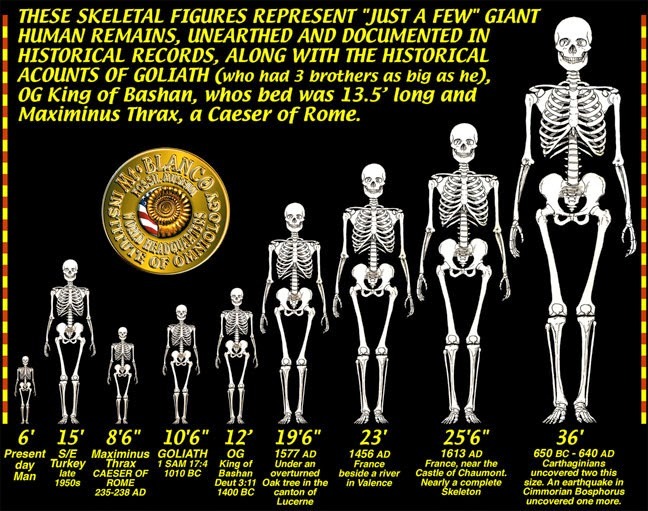 The World was completely covered in giants on every continent before and after modern man appeared on the scene. The Proof is everywhere, or was. On every continent, except South America, all (remains) were confiscated and vanished. ALL! In one case in America, 60 skeletons 10 to 12 feet tall were found in a cave by some farmers. Every single one vanished. And in their place were put fake artifacts and the heights were changed to between 6 and 8 feet, everywhere. Only old stories of eye witnesses are left to dispute the “Official Story”. In old Pleistocene river gravels near Bathurst, N.S.W. huge stone artifacts-clubs, pounders, adzes, chisels, knives and hand-axes-all of tremendous weight, lie scattered over a wide area. A fossicker searching the Winburndale River north of Bathurst discovered a large quartzitised fossil human molar tooth, far too big for any normal modern human. A similar molar of chert fossilisation was also recovered from ancient deposits near Dubbo, N.S.W. Prospectors working in the Bathurst district over 40 years ago frequently reported coming across large human footprints in shoals of red jasper. Some of these have been rediscovered over the years and give every appearance of being of great antiquity. 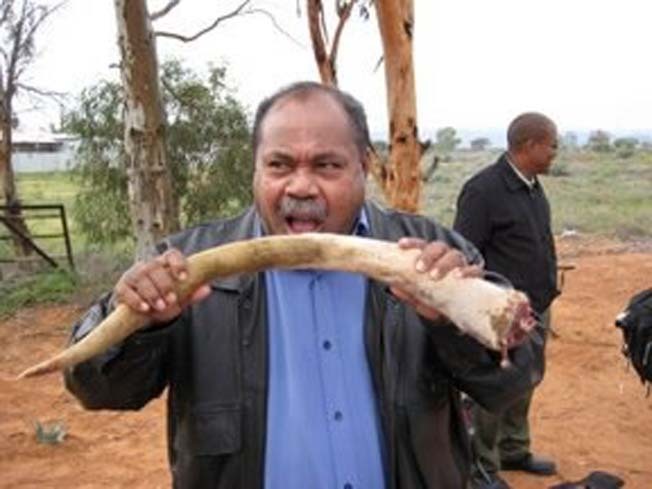 The point raised by these discoveries is that there once existed on the Australian continent giant tool-making hominids who preceeded the aborigines (Austroloids)by many thousands of years. For, it is certain that the aborigines were never the first inhabitants of this continent. Even they admit in their ancient folklore that this land was inhabited by many races of man, as well as giants, long before them. Green Island is 27 km offshore from Cairns in North Queensland. 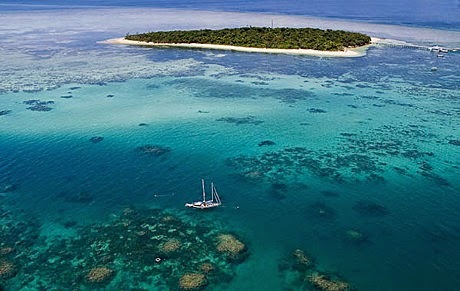 Most visitors travel to Green Island on commercial charter boats from Cairns. Commercial charter boats depart from the Reef Fleet Terminal at the end of Spence Street. Travel time to the island varies between 50 and 60 mins. Commercial helicopter and seaplane services also operate to and from the island. The island and reef are part of the traditional sea country of the Guru-Gulu Gungandji Aboriginal people. They know the island as Wunyami. Today the Guru-Gulu Gungandji people maintain a close connection with the island. Green Island has been a popular tourist destination for more than a century. The island became a national park in 1937, a marine park in 1974 and part of the Great Barrier Reef World Heritage Area in 1981. The surrounding waters form part of the Great Barrier Reef Marine Park and Great Barrier Reef Coast Marine Park and are within in the Scientific Research (Orange) or Marine National Park (Green) zones. Green Island resort offers facilities for day visitors as well as luxury overnight accommodation. Green Island draws more than 300,000 people each year from all over the world. Due to this high level of visitation Green Island is important to the regional economic base and is a significant recreation and tourism destination in the region. There is a slight risk that this fracking process can break out of the gas reservoir and grow into distant shallower aquifers. The oil and gas industry say that contamination of a shallow aquifer via fracture stimulation has never happened in the 1.5 million fracking jobs that have been performed in the past 60 years. 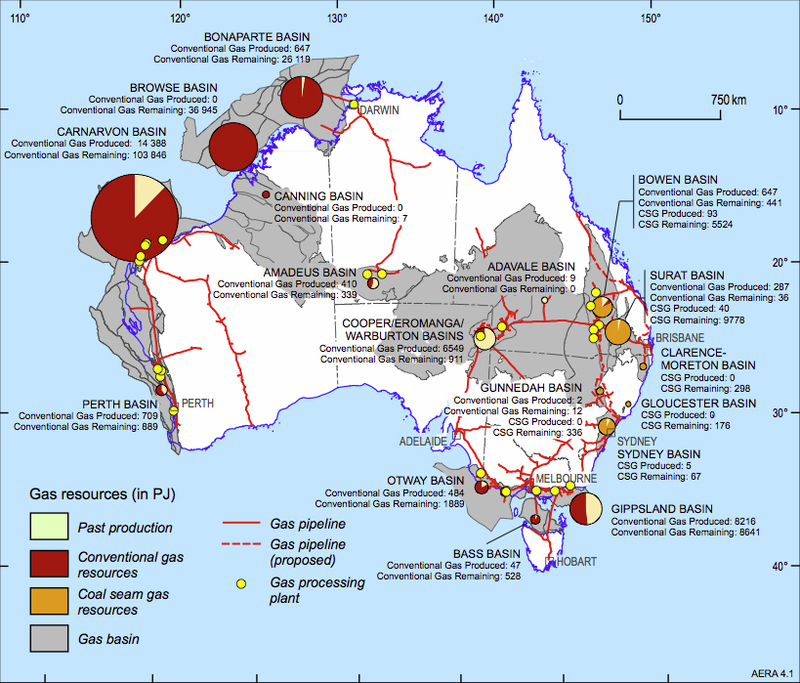 Shale reservoirs are deeper than CSG reservoirs, and are thus further away from the shallow surface aquifers on which many communities and rural properties rely. 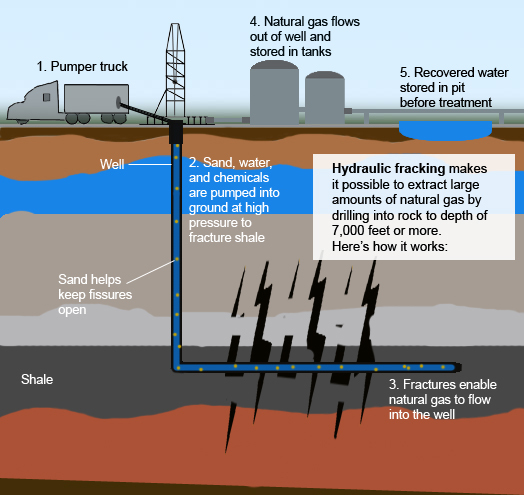 This mitigates risks associated with the fracking process. A more realistic – but less sensational – community concern is over industrial activity. Drilling and fracking wells requires heavy equipment, which is brought in on several dozen large trucks. 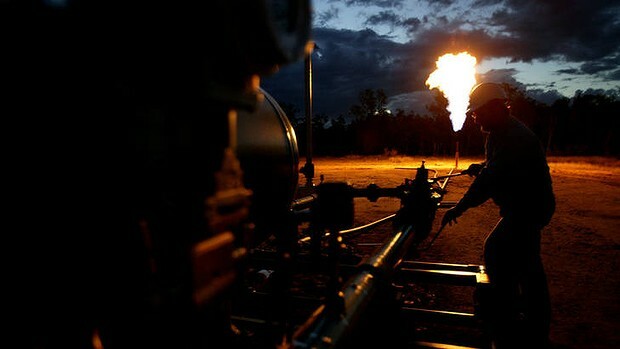 Drilling and fracking a well can be a busy and noisy process that can last a few days for shallow coal seam gas wells to several weeks for the deepest shale wells. It can be quite disruptive to those living nearby. 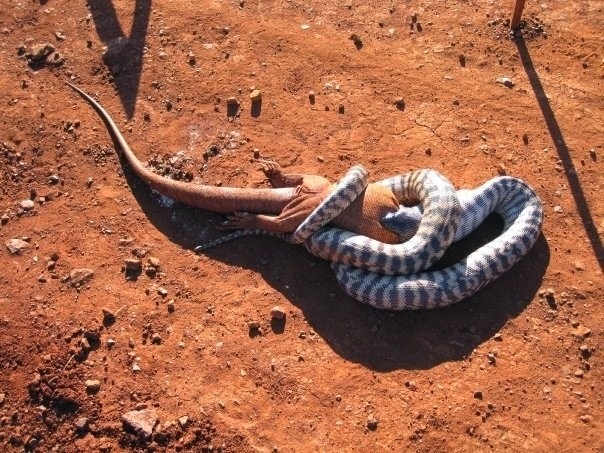 A little outback snack to keep me going! Water is probably your most important thing to pack when your outback. 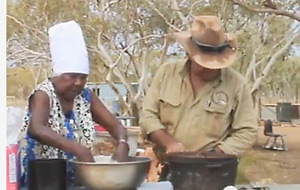 Good clean water is essential for not only drinking, but also for outback cooking. Some water may be available from streams etc, but who knows the quality of this water? Take some purification tablets with you and boil the water before drinking if sourcing it this way. Only carry water in storable food containers designed for this and do not mix water and fuel containers up if you are carrying fuel as well. Carry water in at least a couple of different containers then if one breaks or leaks, you still have at least one container with good water. If your going to do some cooking I have listed some equipment you might think about taking. Your outback cooking equipment is designed for extended use and not just a once off camping trip. So look after it. If you have cast iron (camp oven, saucepans, frying pans), they need to be kept cleaned and looked after to stop rust and corrosion. You can buy picnic baskets that have all of these included in one handy basket. Where is Manus island ? Manus is a traditional name for a group of fishing people who inhabit coastal areas of Manus Island. The name Manus differentiates them from other groups with differing customs and languages. These people were good seafarers and traders. 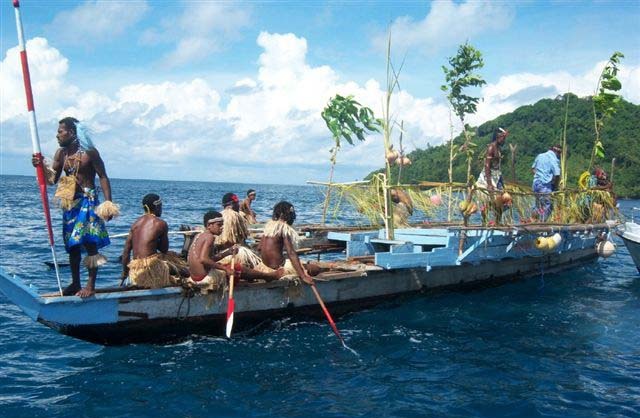 There is a traditional story that they arrive in the Admiralty Islands some hundred of years ago sailing in 200 canoes from the east. 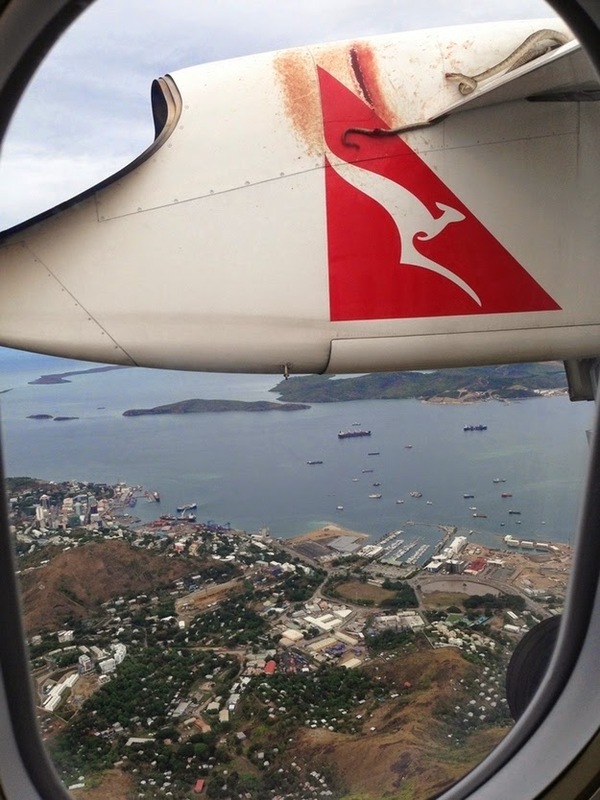 The offshore immigration detention centre on Papua New Guinea's Manus Island, which is set to be expanded under the Australian federal government's new asylum seeker policy, is one of the most controversial processing centres in the Australian network. Australian Prime Minister Kevin Rudd sealed the deal with his counterpart, Papua New Guinea Prime Minister Peter O’Neill, in Queensland on Friday 19th July 2013 in a mutually beneficial pact: PNG will take in asylum seekers in exchange for a wide range of economic and social benefits, including funding assistance for education and health reforms, as well as security. The pact is reported to costs billions of dollars. The Admiralty Islands are a group of eighteen islands in the Bismarck Archipelago, to the north of New Guinea in the south Pacific Ocean. These are also sometimes called the Manus Islands, after the largest island. These rainforest-covered islands form part of Manus Province, the smallest and least-populous province of Papua New Guinea. The total area is 2,100 km2 (810 sq mi). Many of the islands are atolls and uninhabited. 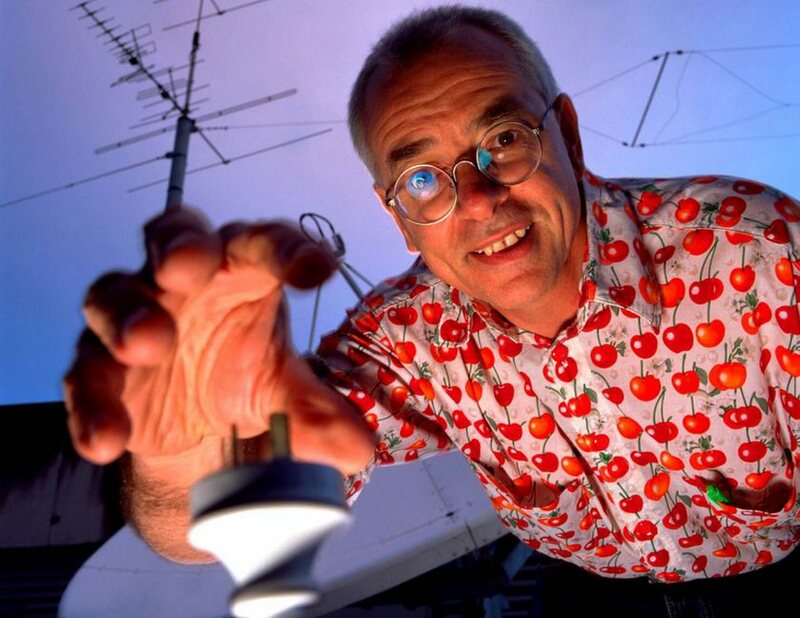 Dr Karl's more notable undertakings was his part in a research project on belly button fluff, for which he received an Ig Nobel Prize in 2002. 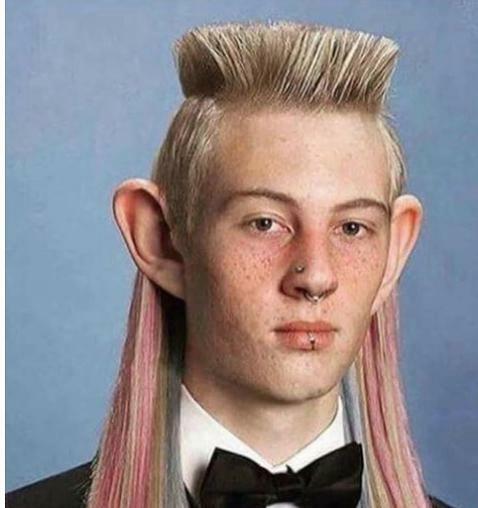 He received the Australian Father of the Year award in 2003. In the 2006 Honours list, he was made a Member of the Order of Australia. In 2012, Kruszelnicki was named as a National Living Treasure by the National Trust of Australia (NSW). Main-belt asteroid 18412 Kruszelnicki has been named after him. Karl Kruszelnicki is a scientist, who is best known as an author and science commentator on Australian radio and television. He is often referred to as Dr Karl. As of mid-2012, Dr Karl has written 31 books, along with numerous lecture series (utilising material that often ends up in his books, or vice versa). Some of these lecture series and books have been televised for events such as Science Week, with him supplying voice overs and sometimes appearing in Claymation. "Major emu migrations occur about one year in seven. The Emus’ migration routes are also influenced by climate. As they can find more food in humid regions the birds wander always to places were rain was falling down recently. 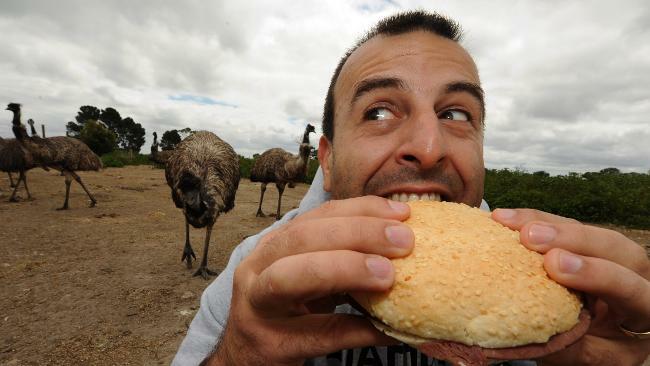 It’s not yet clear how Emus orientate themselves and can detect rain from several hundred kilometers away. Researchers believe this is a combination of sighting distant rain cloud formations, smelling rain, and hearing the far-off sound of thunder from distances the human ear cannot. In Western.Australia, the 100-year-old fence, now called the State Barrier Fence, is the longest manmade structure in the state and is visible from space. 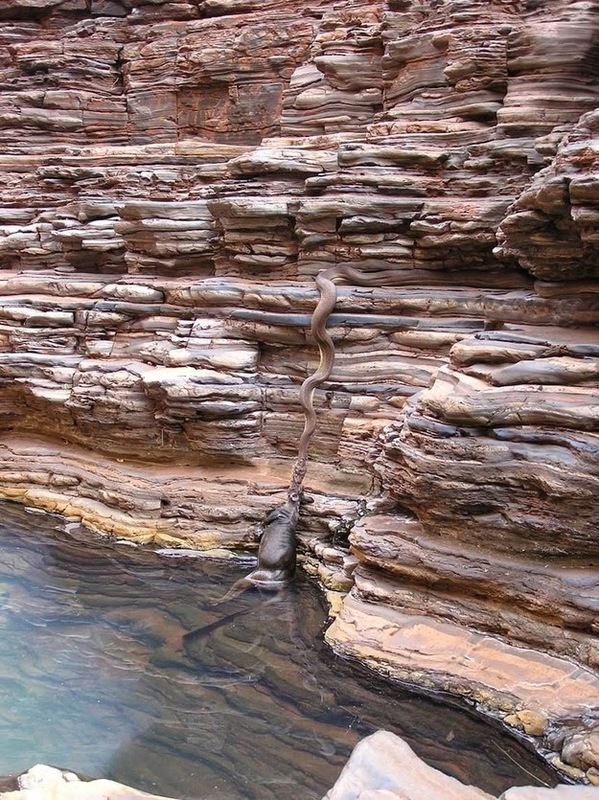 It runs for 1170km through the state's southwest, from the Zuytdorp cliffs north of Kalbarri to east of Ravensthorpe. Originally erected to keep rabbits from spreading westward, the fence is undergoing a multi-million dollar upgrade to protect more agricultural lands in the southwest from 'pest' species, including wild dogs, dingos, emus and kangaroos. It includes major plans for a new barrier, up to 700km long, through pristine woodlands leading down to Esperance, and $5 million has been put aside for that. 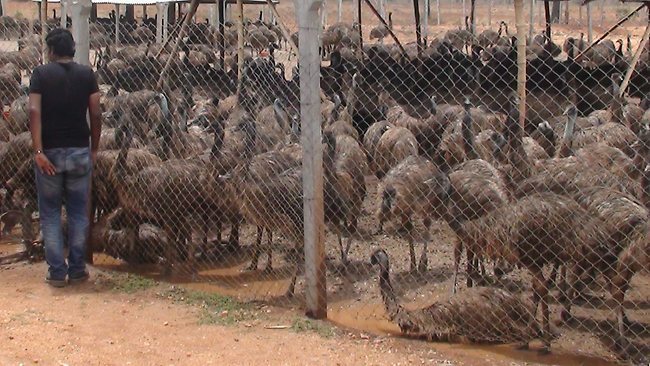 Viv Read, invasive species director for WA's agriculture department, says the plan is a response to the region's farmers, who complain of a rising incidence of wild dog attacks and crop damage from flocks of emus. "Extending the fence is a non-lethal way of controlling vermin and the alternative is baiting, shooting or trapping. "The primary purpose and major benefit of the State Barrier Fence is to minimise emu impact on cropping areas," Viv says. 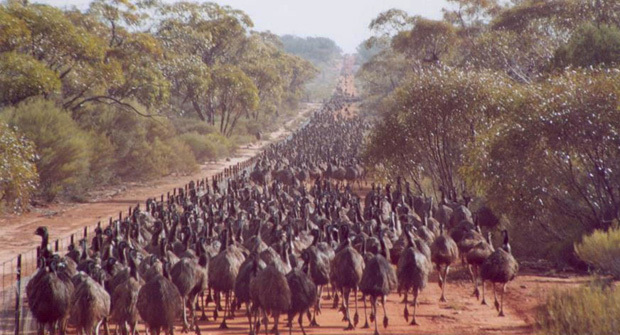 "Major emu migrations occur about one year in seven.